Insomnia – What’s Keeping you awake at night? LiveMD looks into the issue of insomnia to find out what is keeping you from having sweet dreams tonight. Insomnia is a common sleep disorder that affects millions of people worldwide. It is the inability to fall asleep or to stay asleep throughout the entire night. Insomnia is a chronic condition and someone suffering from insomnia may not get enough sleep or may not feel refreshed when they awake. There are numerous different reasons that could cause a person to suffer from this disorder. Stress and anxiety are two of the primary contributing factors. A person with a hectic, stressful, unbalanced lifestyle may experience difficulty sleeping. Certain medical conditions can also cause insomnia. Disorders such as depression, parkinson’s, alzheimer’s, chronic pain, menopause and hot flashes, thyroid problems, mineral deficiencies and restless leg syndrome can all affect the quality and duration of sleep. People who suffer from insomnia can often feel the effects of a poor night’s sleep all throughout the day. It can cause daytime fatigue, an inability to function properly at work, the inability to drive or operate machinery, anxiety, trouble concentrating, irritability, mood swings and depression. Sleep is also a time that the body uses to regenerate itself. It uses this time to heal and create new cells. 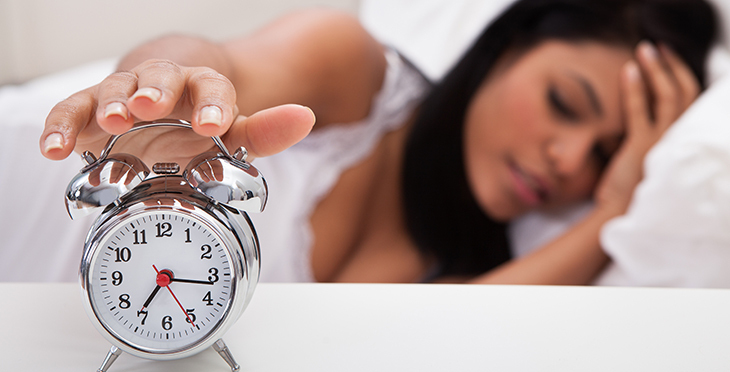 When our bodies experience a lack of sleep it could make us more susceptible to illness and disease. What Treatment Options are Available for Insomnia? There are many treatment options available for those suffering from insomnia and these options will differ depending on underlying cause. Often success can be found by simple diet changes and an exercise routine. Increasing one’s activity can often be enough to make it easier to fall asleep at night. Stress reduction techniques like yoga, breathing exercises and meditation can also help. There are also natural, herbal remedies that can provide relief such as melatonin and valerian and prescription drugs that promote sleep or act as a sedative to induce sleep. If you are experiencing insomnia and need help getting a good night’s sleep, the team of doctors at www.mylivemd.com are here to help. Through a live video chat, voice or a one-on-one text message conversation, we will be able to assess your symptoms and provide you with the treatment options that will best suit your needs. Rest easy tonight knowing that LiveMD is here to care for you. LiveMD offers you advice on how to stop snoring and have a restful night’s sleep. Snoring occurs due to the vibration of the airways and other structures in the nose and throat and can also be caused by a narrowing or collapsing of these areas during sleep. When the breath passes through these narrow, relaxed areas, it causes the surrounding tissues to vibrate making the common sounds associated with snoring. Often these areas become very constricted, allowing very little air to pass through and a person can experience short periods of time where they actually stop breathing. This condition is called sleep apnea and can be very dangerous if left untreated. How can we stop snoring? Excessive snoring can cause those around you to have a restless night’s sleep and can also mean that you are not sleep as well you could be. Chronic snorers tend to report more fatigue during the day, higher levels of irritability and a poorer quality of sleep. By making some lifestyle changes and trying these home remedies before bedtime you may be able to decrease the amount of snoring that you experience. Sleep on your side – Sleeping on your back can cause airways to constrict and make breathing more difficult. By sleeping on your side you can keep your airways from collapsing. If you prefer to sleep on your back, try propping your head up with an extra pillow, this should help to alleviate snoring as well. Use nasal strips – Strips that stick to the outside of your nose can help to open up nasal airway passages and make breathing easier. Quit smoking – Smoking can irritate the throat causing people to snore. Lose weight – Losing weight can help to reduce the amount of tissue in the throat area and can help to reduce snoring. Use a humidifier – Keeping the air moist in your bedroom will keep your nasal passages and throat moist as well helping to decrease snoring. Use a decongestant spray – Using a decongestant nasal spray will help to eliminate congestion, make breathing easier and decreasing the amount of snoring that occurs. These sprays can be purchased without a prescription at your local pharmacy. Wear a mouthguard – Sleeping with an anti-snore mouth guard will help to keep the throat and airways open and keep your tongue forward in your mouth, eliminating some of the common causes of snoring. If none of these at home remedies seem to work, or if you experience instances of sleep apnea, a call to the doctor is in order. LiveMD’s team of doctors can provide you with advice on how to improve your quality of sleep and stop snoring for good. Visit www.mylivemd.com to speak with a doctor today by phone, video chat, text or in person.